Have you started thinking about your Thanksgiving menu yet? We will be out of town for the holiday, which is kinda bittersweet. I am happy that I don’t have to deal with cooking, prepping and hosting but also slightly sad that we won’t be having a traditional Thanksgiving. 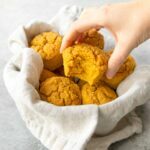 Either way, I’ve been enjoying these vegan pumpkin cornbread muffins this past week and I think they’d make the perfect appearance for your Fall table! 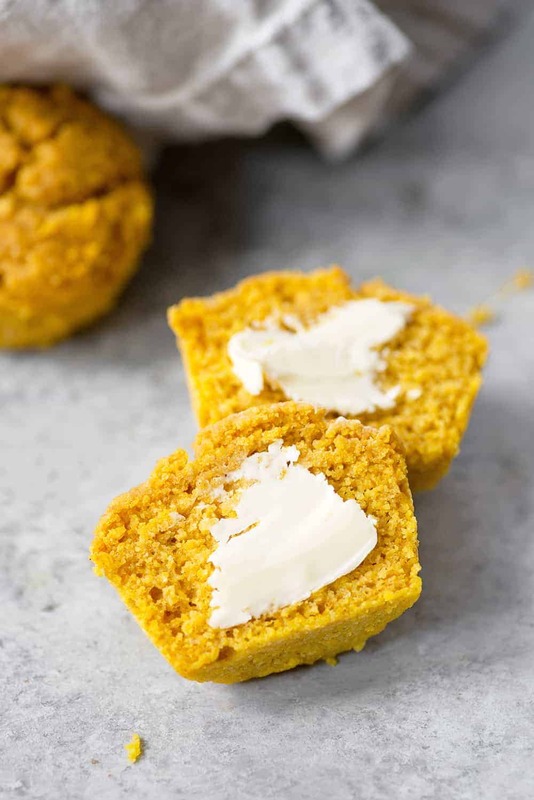 Lightly sweet, incredibly moist with just a hint of pumpkin spice. They are just as delicious warm with cold butter (or apple butter!) as they are dipped into hearty chili. 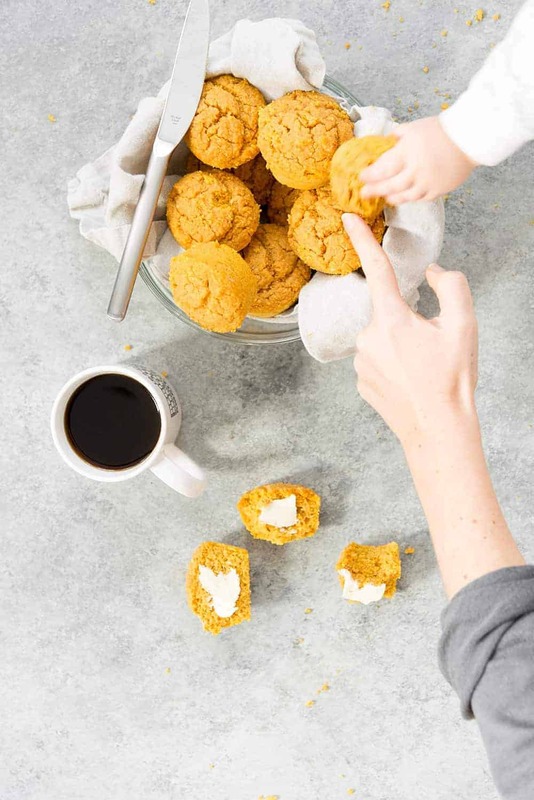 I’m calling for oat milk in these muffins because I find that oat milk browns much better than other non-dairy milks. It’s not essential, but if you use almond milk or soy milk, then just know your muffins will be a little paler. 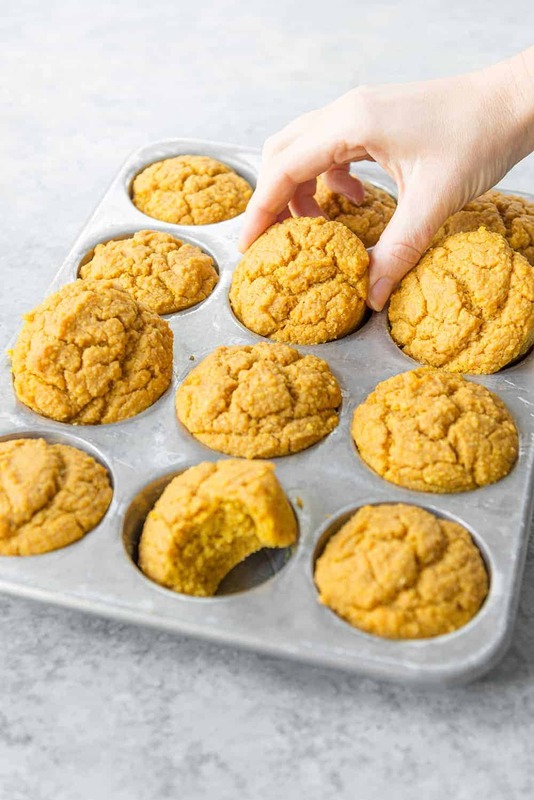 Also, the cinnamon/ginger/nutmeg give these a classic pumpkin taste, so if you don’t want them to taste like pumpkin, then just omit the spices. They still make for a delicious cornbread muffin! 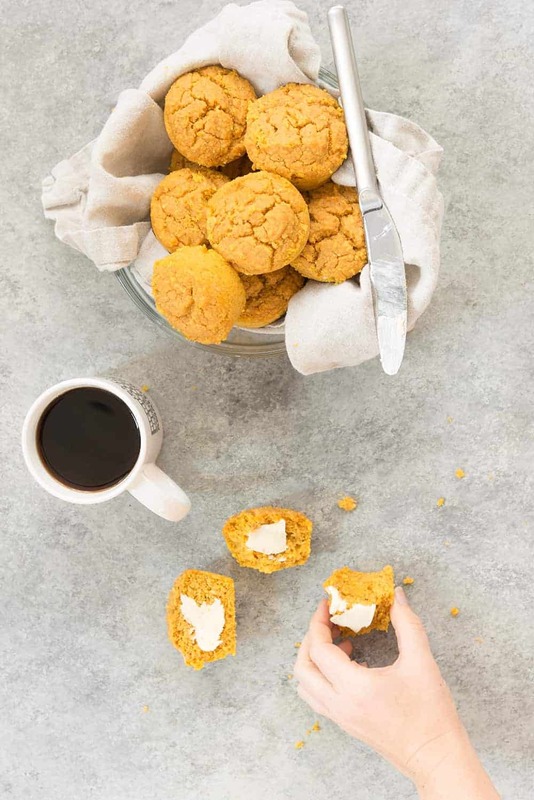 The pumpkin adds in much needed moisture and I love the hint of spice that pairs perfectly for breakfast and for the holiday table. Make ’em! 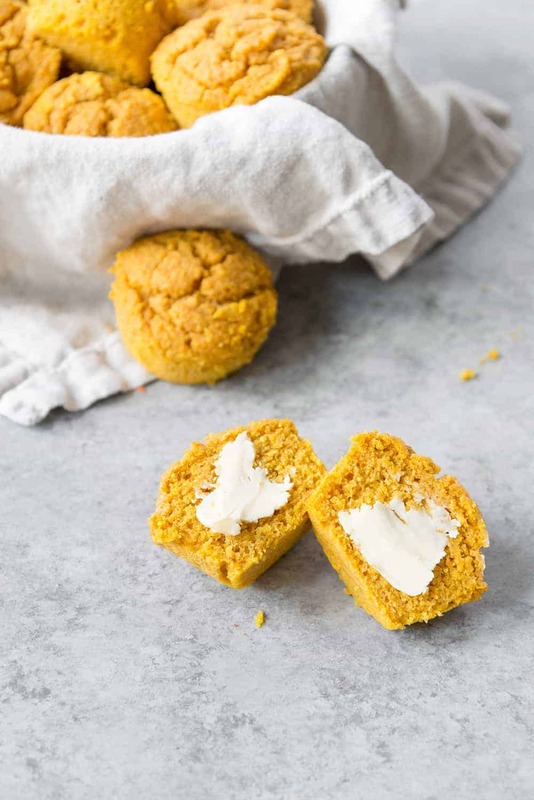 Vegan Pumpkin Cornbread! Muffins! 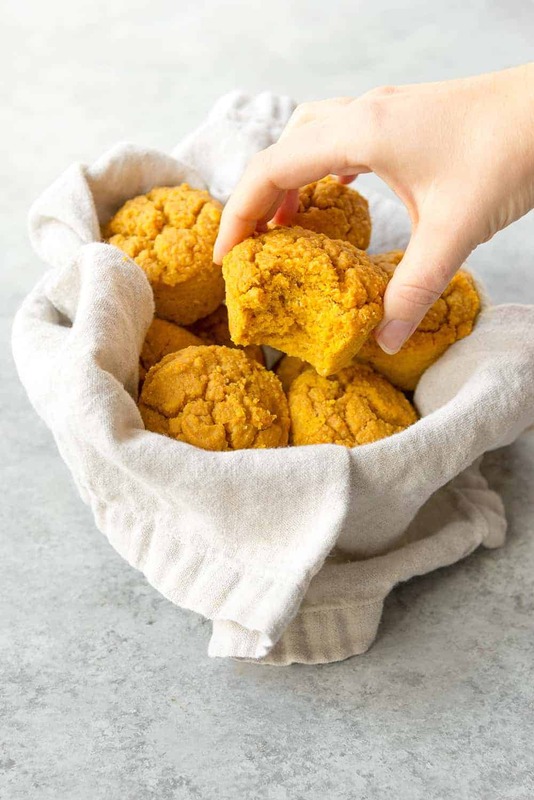 These cornbread muffins are perfect for fall and Thanksgiving! A must-make. Preheat oven to 350 degrees F. Add the vinegar to the milk and set aside for 5 minutes. 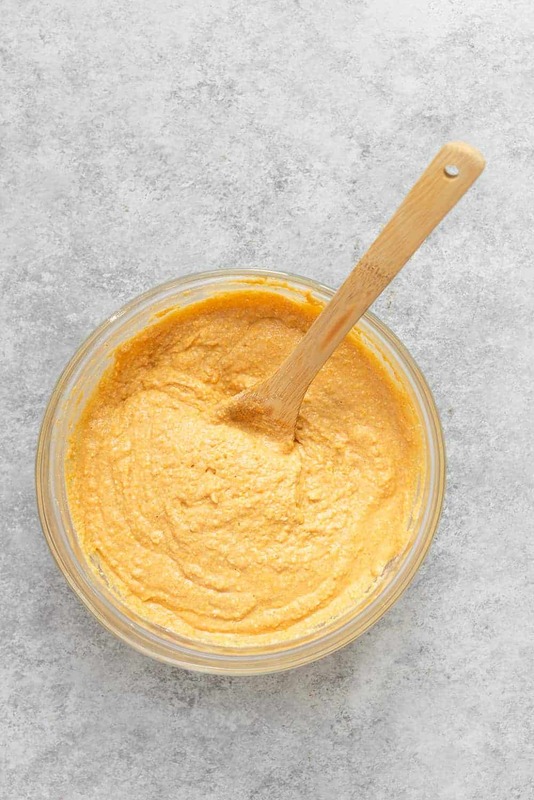 Mix together the pumpkin puree, maple syrup and oil together in a large bowl. Whisk in the milk mixture. In a separate medium bowl, whisk together the cornmeal, flour, baking powder, cinnamon, nutmeg, ginger and salt. Add to the milk-pumpkin mixture and stir until just combined. Fill 3/4 full into lightly greased or paper-lined muffin tins. This will make a little more than 12 muffins. Bake for 25-30 minutes or until a toothpick comes out clean. Remove promptly from the oven and let cool in the muffin tin for 5 minutes; then transfer to a cooling rack. Oat milk browns like dairy milk, which is why I call for it here in this recipe. You can use other non-dairy milks, but the muffins will be paler. Have you tried this recipe with pea milk? Would it still brown? Hi Jean, pea milk is very low in carbs/natural sugars so I don’t know they it will brown the same way. Coconut milk, which is similar, also produces pale baked goods. Doesn’t mean you can’t use it- but they won’t be as golden! Hi Lindsay, cook the oven to 350 degrees F.
Hello Alex, can i use light olive oil? As I’m histamine intolerant? Or perhaps melted butter or ghee? I don’t see why not! Thanks!